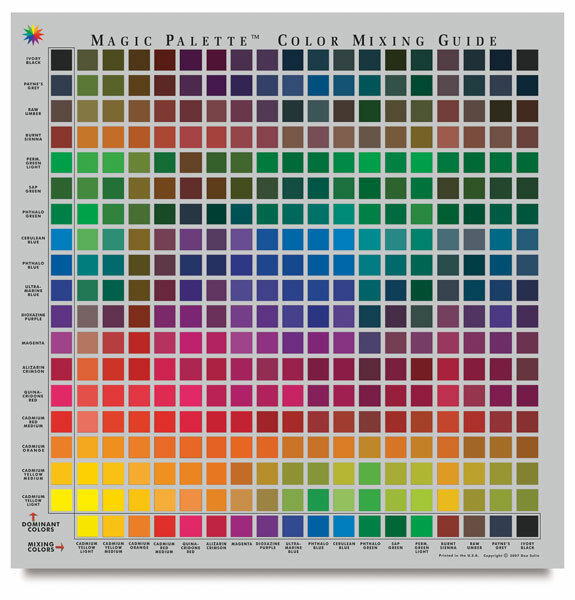 This handy guide shows you how to mix the colors you see based on actual tube color combinations. Colors are shown utilizing a high quality printing process on a neutral gray background. Personal: 18 colors, 324 hues. 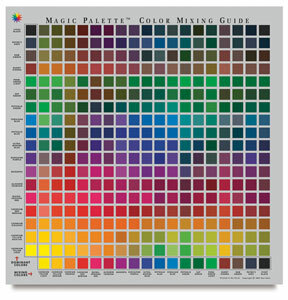 Studio: 29 colors, 841 hues. ™ Magic Palette is a trademark.